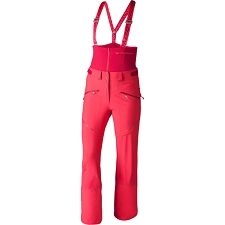 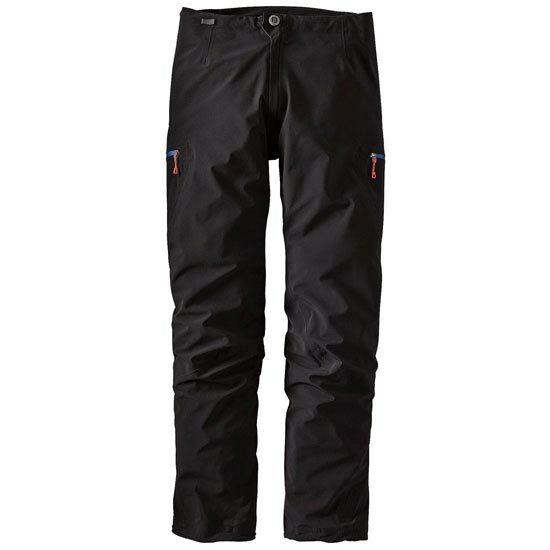 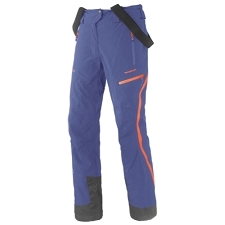 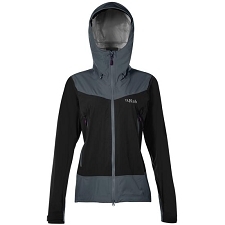 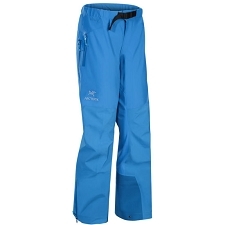 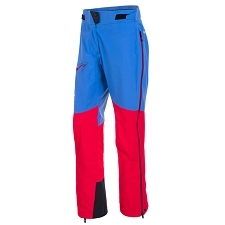 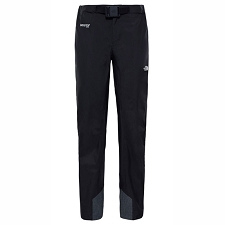 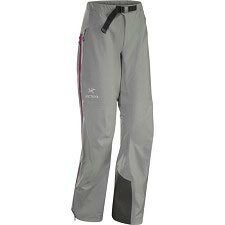 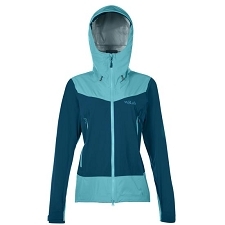 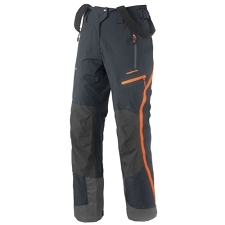 Women’s pant for winter mountaineering. 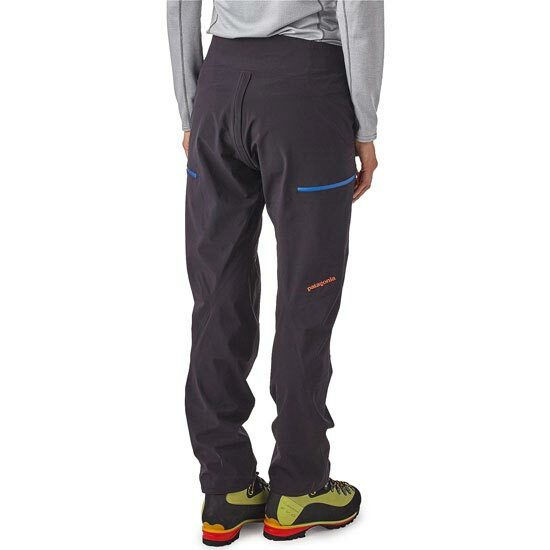 Offering dynamic performance and protection, the Galvanized Pants stretch, breathe and shrug off heavy conditions for those exploring the alpine&apos;s boldest terrain. 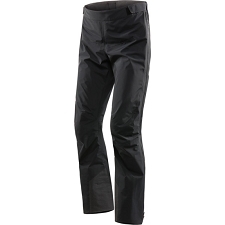 Using a new, stretchy 3−layer H2No® polyester/spandex fabric, this pant delivers full mobility and exceptional waterproof protection, while a soft jersey−knit backer wicks moisture and maintains an amazing level of comfort. 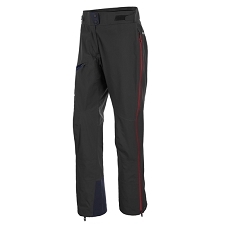 A minimal, articulated pattern complements the fabric’s stretch to enhance ease of movement, and the two large thigh pockets have watertight, PU−coated zips that are strategically positioned for leg−loop compatibility. 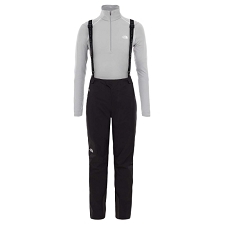 The separating zippered fly (with unique OppoSet™ waist adjustment for a customized fit) continues into a front−to−back zip−through crotch, allowing for easy pit stops while wearing a harness, especially when paired with the Nano−Air® Light Pants. 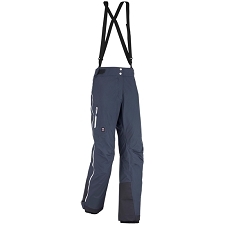 The narrow lower legs are specifically designed for climbing boots, with ultra−minimal cuffs, shock cord adjustments and tie−down loops to reduce bulk. 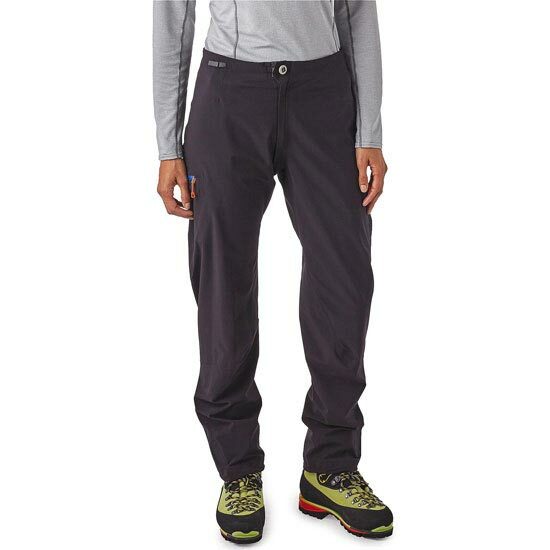 With DWR (durable water repellent) finish and a slim fit. 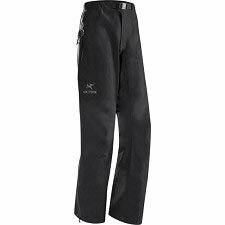 Customer Opinions "Galvanized Pants W"